I went with my father this weekend to catch the new Bruce Willis movie Surrogates, and throughout the entire movie, my dad would lean over to me and make random comments about various plot holes as he found them. I’d tell you some (there were many), but it might spoil the movie for the few still interested in catching the flick, so instead I’ll share with you Wired’s top 10 unanswered questions in geeky movies. Who knew there were so many plot holes in George Lucas-related projects? I mean, I figured there were quite a few in the Star Wars universe, given that the project has spanned 30 years, 6 live-action movies, 5 television series, 4 TV specials, an animated feature film, and about a thousand novels, comic books, games, and other official Expanded Universe offerings. 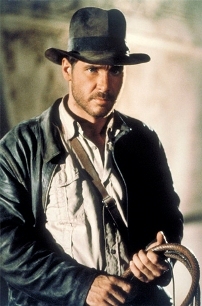 When you’re dealing with a bushel basket of source material that large, there has to be a lot of plot inconsistencies, but who knew Indiana Jones was such a blatant offender?